Neighbors are pushing back against plans to bring a charter school to one of the area's most dangerous intersections. 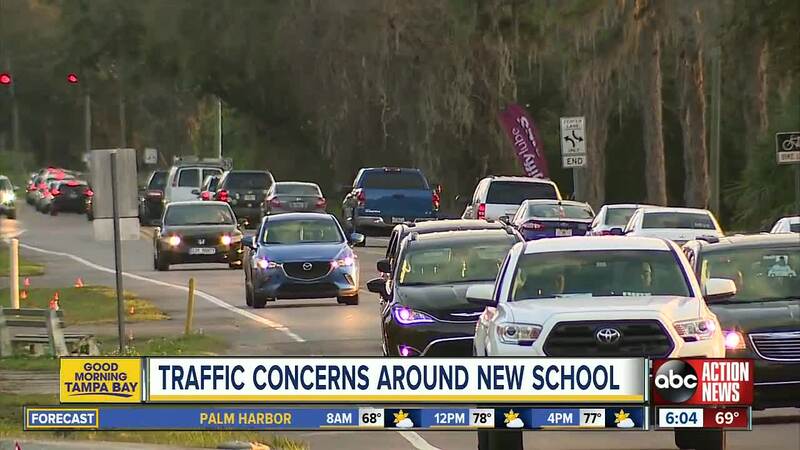 VALRICO, Fla. — Neighbors are pushing back against plans to bring a charter school to one of the area's most dangerous intersections. Construction proposals obtained by ABC Action News detail plans to convert an old grocery store at 1101 East Bloomingdale Ave. into Navigator Academy Valrico , a private school serving up to 1,000 students. ABC Action News has profiled traffic concerns at the intersection of Bloomingdale Avenue and Bell Shoals Road for months. Drivers warn development in the area is quickly outpacing traffic needs. The intersection has been named one of the top ten most dangerous in Hillsborough County. "Not only is it becoming more dangerous for the cars, but for the people walking on the side of the street, and it’s just becoming a nightmare," said Kathleen Pici. Pici struggles to make it through morning and afternoon standstill congestion everyday. "As a local business, we have people call and have to cancel or be late to appointments every single day because they can not get down this road," said Pici. Hillsborough County is spending $65 million to widen Bell Shoals from two lanes to four from Bloomingdale to Boyette Road, but that project won't be completed until 2022. The charter school is slated to open Fall 2019. ABC Action News reached out to Navigator Academy Valrico for comment, but have yet to hear back.